Every Renfrewshire community is being challenged to carry out a clean up of their area as Renfrewshire’s Big Spring Clean was launched today. 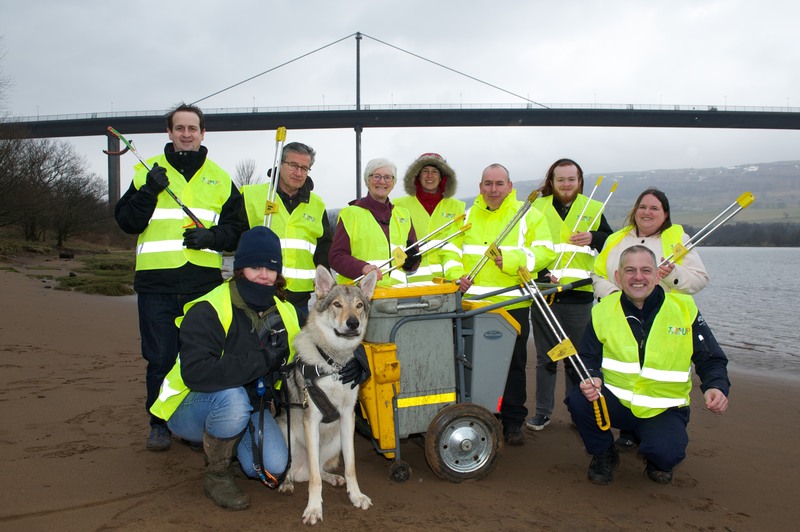 Taking place across the weekend of 20-22 April, Renfrewshire’s Team Up to Clean Up campaign is aiming to host a clean up within every community to further enhance the environmental improvements which have taken place since the launch of the campaign. 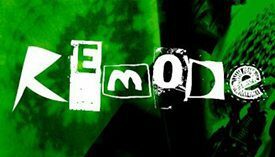 The initiative received renewed backing by Councillors when setting their budget recently as £2.5million was set aside for investment across the next five years – doubling the original £250,000 investment. More than 50 community clean ups have taken place since the campaign launched with community groups across the area getting behind the initiative. The investment has also seen an increase in mechanical road sweeping to every two months, an improved programme of gully maintenance, an enhanced Rapid Response Team and six new litter pickers allocated across Renfrewshire. 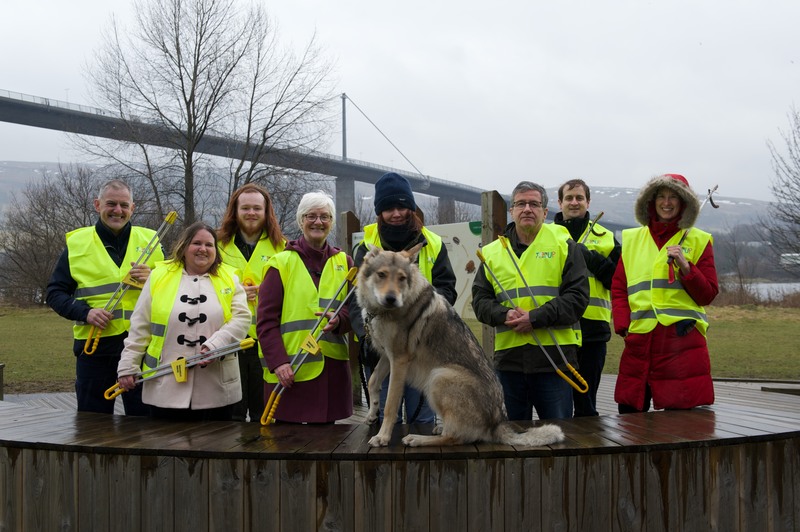 Councillor Cathy McEwan, Convener of Renfrewshire Council’s Infrastructure, Land and Environment Policy Board, joined members of Erskine Community Garden and Renfrew White Cart River Bank Nature Spot to help launch the initiative. Councillor McEwan said: “Since the Team Up to Clean Up campaign was launched, more than 50 community clean ups have taken place across Renfrew, Paisley, Erskine, Houston and many other areas including the villages. “The community have shown a real willingness to come together and the Big Spring Clean will be our biggest event yet as we look to generate a real sense of togetherness within Renfrewshire as we tackle littering and fly tipping together. “We are determined to improve the cleanliness of our streets which is why we have committed to investing an additional £500,000 every year for the next five years. “This will allow the increased gully cleaning, road sweeping and litter picking to continue, while also allowing us to support the community in doing their bit to make their area a more attractive place to live. Schools, businesses and community groups are all encouraged to organise a clean up in their area and the Team Up to Clean Up team will provide litter pickers, bags and tabards, as well as arranging to collect the gathered rubbish after the event is over. 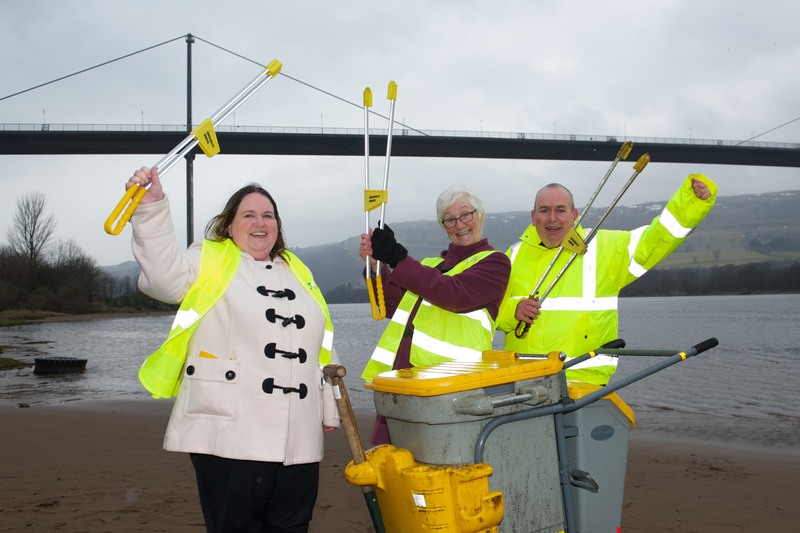 The launch took place at Erskine Beach where Erskine Community Garden are set to follow up their Big Spring Clean activity with a beach clean up on 9 June. Volunteer Heather Clisset said: “At Erskine Community Garden, we are delighted to be involved with the Team Up to Clean Up Big Spring Clean. “Litter picks in our communities help us to make our towns and villages better places for ourselves, our neighbours and our wildlife. We would encourage anyone to get involved in a litter pick or spring clean activity as the end result is something to take pride in and get a feeling of accomplishment, seeing an area full of litter being transformed in a short time. “Litter picks are a fantastic way to get outdoors, work as a team and make a difference. We always caution first time litter pickers, once you’ve done one litter pick; you will notice every single piece of litter everywhere else! If you are arranging a clean up, please contact wardens.es@renfrewshire.gov.uk or 0300 300 1375 and we will assist you as much as possible. For more information on the Team Up to Clean Up campaign and how to get involved, visit www.renfrewshire.gov.uk/teamuptocleanup or like the Team Up to Clean Up Facebook page.